I told you in this post that I would show you another picture of my hair. Here is the back...so many curls! 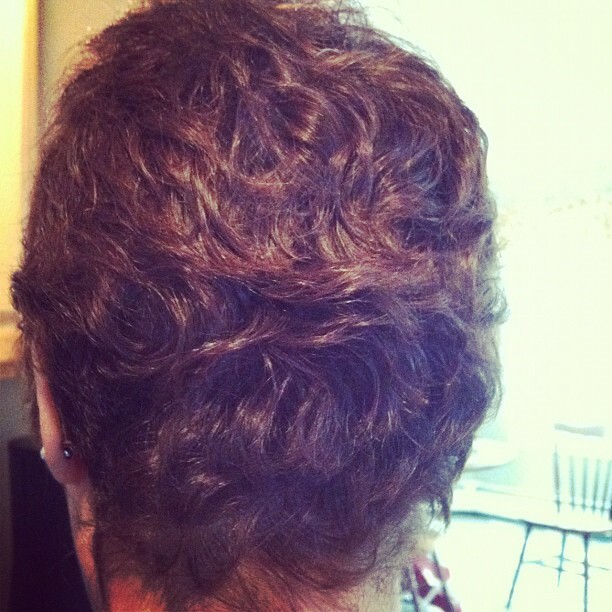 It's quite strange for me because my hair right now is completely different than it was prior to chemo. I used to have fine, thin hair with little body. Now my hair looks like this. I'm not sure that it's going to last, so I will enjoy it for now. "How can I control my life when I can't control my hair?"